The Commerce Clause is a short phrase of 16 words, none of which are difficult to understand. Despite this, the clause is one of the most misunderstood in the Constitution. Unfortunately, abuse of the Commerce Clause has justified a massive expansion of federal government interventions in the marketplace and in the lives of everyday Americans. From nationalizing labor laws to the EPA regulating mercury and carbon dioxide emissions, the expansion of the Commerce Clause has redefined the scope of government. When Senator Feinstein was asked where Congress gets the authority to require that individuals have health insurance she replied, “Well, I would assume it would be in the Commerce Clause of the Constitution. That’s how Congress legislates all kinds of various programs.” Sadly, this view is all too common on Capitol Hill. The Framers of our Constitution carefully considered each word they wrote. We should follow their plain language or amend the Constitution, but never ignore the Constitution as written. Mischaracterization of the Commerce Clause is both lazy and disrespectful. Through the Commerce Clause, the Framers were looking to prevent states from practicing protectionism by raising trade barriers between the states. They believed that trade regulations were contrary to the idea of a Union. They also believed that taxing imports or exports would create “unceasing animosities” and were often precursors to war. James Madison’s Notes of Debates in the Federal Convention of 1787 shows us that there was agreement that the Commerce Clause only granted Congress the power to regulate trade with foreign nations and between the states. This was the understanding of those drafting the Constitution, such as Roger Sherman, Oliver Ellsworth and Edmund Randolph, who faced no opposition from other members of the convention. Essentially, the Framers believed the Commerce Clause would allow the federal government to regulate trade between the states and control interferences of state regulations. This would allow the federal government to stop trade wars from starting amongst states and help keep national tranquility. For a century and a half, the Supreme Court took this narrow view of the Commerce Clause. The view was exemplified by Schechter Poultry Corp. v. United States (1935) and Carter v. Carter Coal Co. (1936). Both of these cases invalidated acts of Congress as exceeding Congressional authority under the Commerce Clause. These decisions angered FDR, who threatened to stack the Court with his own justices if the justices refused to go along with his reforms. This led to “the switch in time that saved nine” where Justice Owen Roberts switched his vote and began upholding New Deal reforms. Consequently, the Court issued decisions in United States v. Darby Lumber Co. (1941) and Wickard v. Filburn (1942) that greatly expanded the role of the federal government through the Commerce Clause. These decisions fundamentally changed the Court’s jurisprudence in the area of regulating commerce. 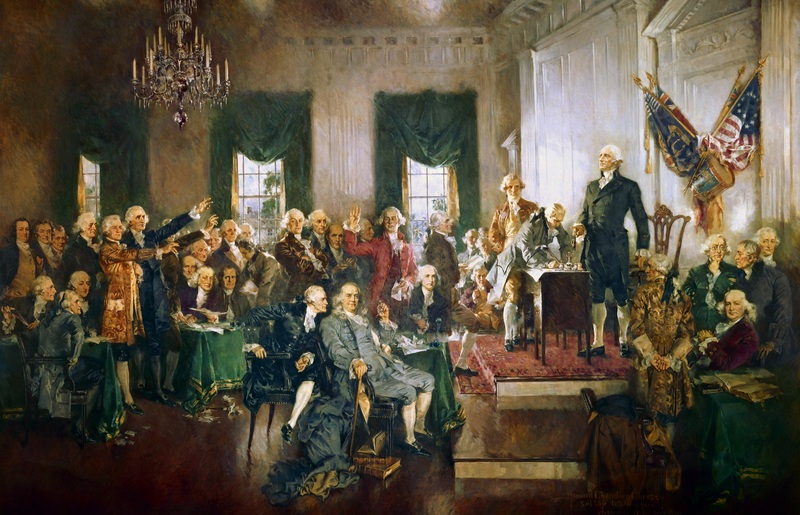 Unlike the first 150 years of jurisprudence in America, from the 1937 until 1995 the Court did not invalidate one law as exceeding Congressional authority under the Commerce Clause. In United States v. Lopez (1995) the Court nullified a federal law that banned handgun possession near schools because mere possession was not commerce. This decision was a step in the right direction but the Commerce Clause has not yet been restored to its original meaning. The power granted by the Commerce Clause is not unlimited. Congress cannot force you to buy a product or regulate anything it wishes. The Commerce Clause was written to ensure that Congress could regulate trade between the states to prevent protectionism from taking root. This restriction on the states has been turned into a grant of broad Congressional authority by an overgrown Congress and a complacent Supreme Court. The Court needs to respect the Commerce Clause as written and overturn legislation that does not fit within the original understanding of the clause.